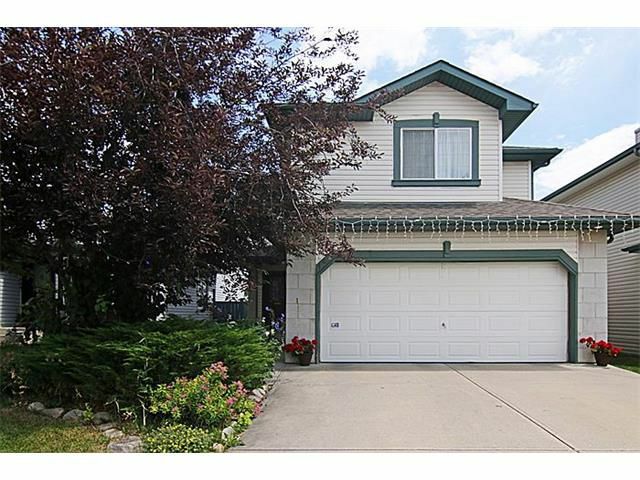 Marvelous opportunity to raise your family in popular Shawnessy. Nicely located on a quiet street and close to the LRT and Shawnessy Shopping Center, this three level split four bedrooms family home features very high 12 feet ceiling and oversized picture windows what allows an infusion of light and air. The gas fireplace makes living room very cozy and inviting. The spacious eat in kitchen leads to a huge rear deck, and large yard - perfect for those summer family gatherings. Upper level carries 3 bedrooms with closet organizers and full bath. The master bedroom has a 4 pc ensuite and walk in closet. The lower level contains the 4th bedroom, and a family room. Shingles on the roof were replaced in September 2013 and have warranty for the next eight years. Include this one in your search for an affordable property in a well established and mature community. Call your favorite realtor to view today!